We are very proud of J.B. Goodwin! Governor Rick Perry has appointed J.B. Goodwin to the Texas Department of Housing and Community Affairs. The mission is to help Texans achieve an improved quality of life through the development of better communities. Click here to read the full article in the Austin Business Journal. 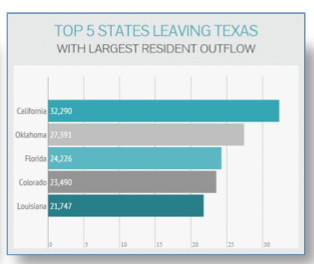 Nationwide, Texas ranks number one for largest amount of people migrating into our state. It’s true! Texas Association of Realtors’ 2014 Relocation Report shows that almost 600,000 people moved here from other states last year. Guess where the majority came from? You are correct…California. But Floridians and Oklahomans move here too! Okay, so there are no surprises. But what I found interesting and blog-worthy was the list of states Texans are moving TO. See the list below. 1. 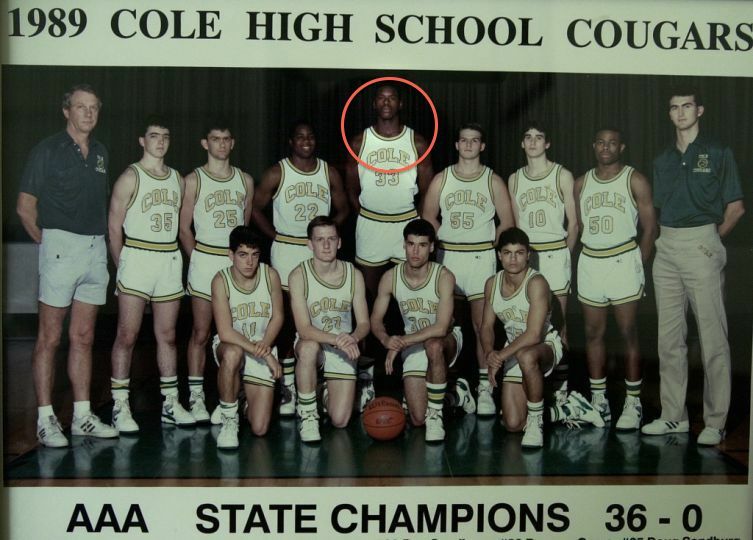 Shaquille O’Neal played high school basketball in San Antonio. 2. 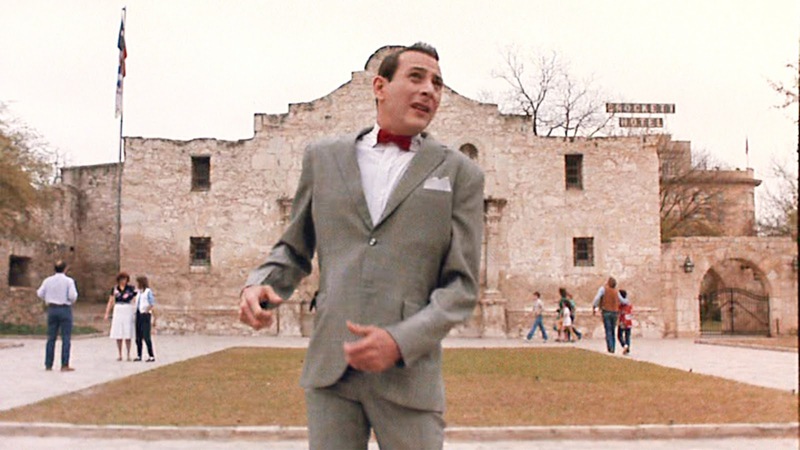 Despite what the movie “Pee-wee’s Big Adventure” portrayed, the Alamo does have a basement. Either way, you’re not going to find his bike there. 3. Ever been to the “Dome on D’Range?” Well, if you’ve ever been to the Alamodome, then you have! 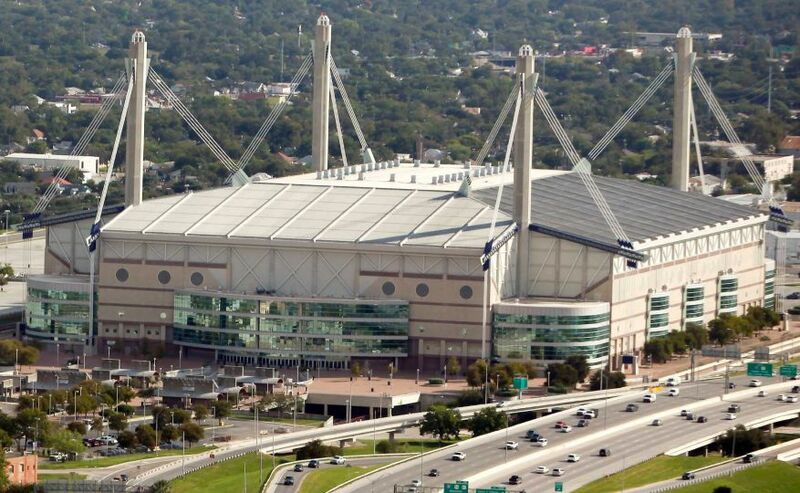 “Dome on D’Range” was one of 6,286 names submitted during a contest to name the Alamodome in 1990. Some of the other submissions were: Texadome, Megadome, Tax-a-dome, O’Henry Dome, and Dillo Dome. Two years ago, we took the initiative to regularly visit face to face with out-of-state third-party companies and out-of-state Leading RE Broker partners and we’ve seen fabulous results! Just this past month, Judy travelled to Phoenix, AZ and Orange County, CA to meet with our network partners. Visiting these companies in person really strengthens our presence and enhances our relationship, which then results in more business for all! Judy had the chance to meet face to face with Odyssey Relocation, The MI Group, First Team Real Estate, Cornerstone, Bristol Global Mobility, Star Real Estate, Brookfield, and Global Mobility Solutions. She also had lunch with Merry Shuck of Ebby Halliday and Gina Schoener of Heritage Texas Properties. # of Incoming leads from third-party companies and Leading RE brokers grew from 579 to 827. This is a 43% increase in our annual incoming # of leads! # of Closed Sales increased from 170 to 274. This is a 61% increase in closed sales! Agent Dollar from these sales increased from $614,000 agent dollar to $1,120,000. This is an 82% increase in Agent Dollar volume! Visiting our partnering companies representing JBGoodwin Realtors builds rapport and increases business for us. This initiative has produced clear results – more business for you! Chevron, Continental Corporation, Federal Bureau of Prisons, Chase Bank, Healthtronics, EP Energy, U.S. Deptartment of Interior, Charles Schwab, Brady Corporation, Nielsen Company, Dana Holding Corporation, Hensel Phelps, Baptist Medical Center, Dollar General, Computer Associates, Bayer, and Micron Technology, just to name a few. “Keep Austin Weird” is Austin’s mantra supporting local businesses. JBGoodwin is a local business that’s been around since the 1970’s. We have over 430 agents to serve you. 1. Through Leading Real Estate Companies of the World, JBGoodwin’s Relocation Department sends more outgoing leads than any other network broker and we’ve been doing it a really long time. Can anyone say “RELO”? 2. JBGoodwin is voted one of the “Best Places to Work” by Austin Business Journal 2014 and a “Top Work Place” in the Austin American Statesman three years in a row. 3. What’s really exciting for you, is that 48% of our outbound leads converted to a sale.